Daryl McLellan, 80, of Plainville, passed away peacefully at his home with his wife of 46 years, Sharen by his side on Wednesday, July 4, 2018. Born in Holton, Maine, on August 12, 1937, Daryl was one of 11 children to the late George and Alma (Crabtree) McLellan. 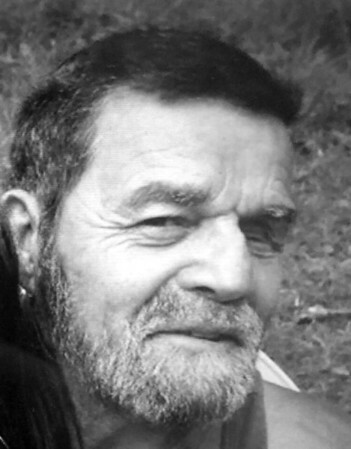 A lifelong resident of Plainville, he was a well-known master mechanic and car enthusiast, and a former race car driver at Plainville Stadium, who went on to build and work on cars for countless drivers over the years. Daryl served his country for two years in the U.S. Marine Corps and was honorably discharged in 1957. He was a 25-year employee of White Oak Construction, retiring in 2003. Daryl and Sharen enjoyed more than 35 years as seasonal campers at White Pines in Barkhamsted, where he could be found driving his famous Budweiser themed golf cart or playing horseshoes at the pits that were appropriately named after him. An avid NASCAR fan, Daryl also enjoyed vacationing at his family’s home in Maine and was a member of the American Legion Post 33. A loving husband, father, and friend to many, he will be dearly missed. In addition to his wife, Sharen, he leaves his son, Derek McLellan, his companion, Sofia Eliades and her family; his brothers, Robert and his wife, Ursula, Murray and Ivan McLellan; his sister, Audrey Bergenty and her husband, John; his sister-in-law, Rita Harlow; several nieces, nephews and extended family; and his beloved Border Collie and truck passenger, Bandi, who never left his side. He was predeceased by his brothers, George Russell, John Louis, David Lawrence, Eugene, and Arnold; and his sister, Frances Jane. Posted in New Britain Herald, on Friday, 6 July 2018 19:48. Updated: Friday, 6 July 2018 19:50.